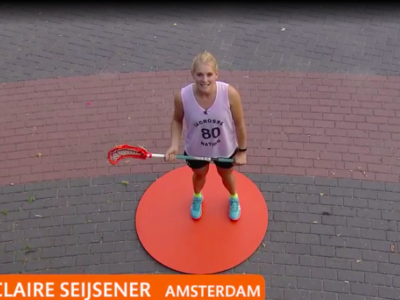 Onze eigen lion Claire promoot lacrosse door op de Stip te staan voor Koffietijd/ 5 Uur Live. Kijk nu snel het filmpje hier! 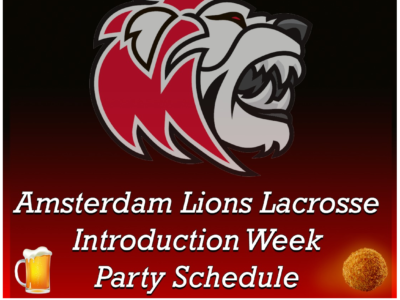 Amsterdam Lions Lacrosse is an affiliate of Studenten Sport Amsterdam. 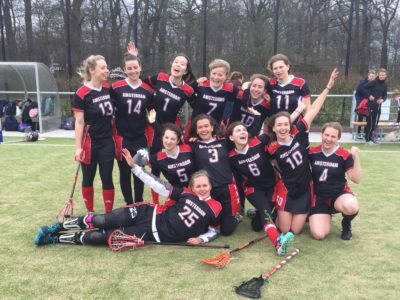 Amsterdam Lions Lacrosse has five teams - 2 men's and 3 women's - and is represented in first, second an third divisions of the national competition. 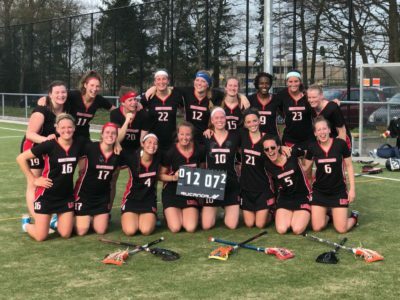 Experience with the beautiful game of lacrosse is by no means necessary to become a member and join the club! Practices are twice a week, on Tuesdays and on Fridays or Mondays and Fridays at Sportpark Middenmeer. Besides practicing hard to improve our game, there's also a big social side to being a Lion. Post-practice-borrels, boat parties, dinner parties, BBQ's, you name it. There's a reason that the proverb states: 'there's no "I" in Lions'!